Raw beauty is a big deal in the growing coupe-styled luxury sedan segment. 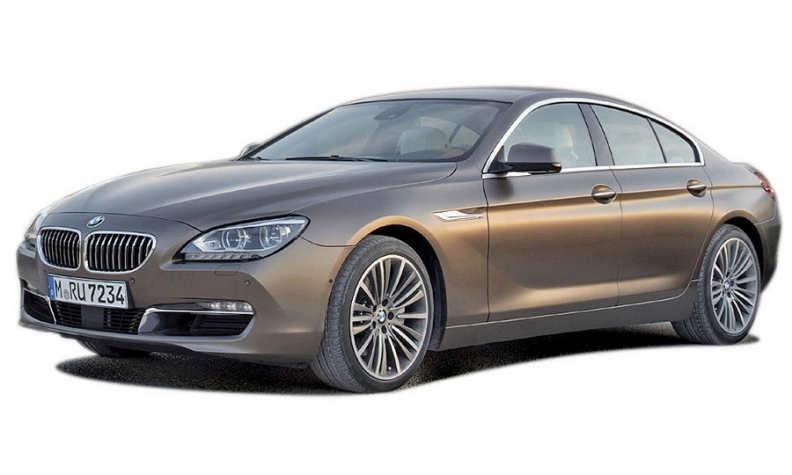 And that's where BMW executives say they have the edge over German rivals with the 6-series Gran Coupe. The four-door, four-seat 640i with coupelike lines goes on sale this month in the segment pioneered by Mercedes-Benz in 2005 with the CLS. Other competitors now include the Porsche Panamera and Audi A7. But Willisch is convinced the 640i is the most attractive. The Panamera has been dinged for its design, which even Porsche executives admit is polarizing. And while the first-generation CLS was called elegant and eye-catching with its shapely exterior, the sharper lines of the redesigned model have been criticized. "Design is the No. 1 reason to purchase a car in any premium segment," Willisch said. He wouldn't forecast sales for the Gran Coupe other than say it will add some incremental volume to the 6-series range, now composed of a two-door coupe and convertible with cramped rear seats. Sales of the two-door 6 series peaked at 9,934 units in 2005. Sales totaled 3,903 last year. The Gran Coupe uses a modified version of the two-door 6-series platform, but its wheelbase is 4.5 inches longer at 116.8 inches and its overall length grows 4.0 inches to 197 inches. BMW says the extra inches provided the room to fit two adults comfortably in the rear. BMW has priced the base 640i Gran Coupe at $76,895, including shipping -- head-on with the Panamera, which starts at $76,825. The 640i Gran Coupe has an eight-speed automatic transmission combined with a 3.0-liter twin-turbo six-cylinder engine. The base Panamera has a dual-clutch automatic transmission combined with a 3.6-liter V-6. The Mercedes-Benz CLS550, priced at $72,175, has a 4.6-liter twin-turbo V-8 and a seven-speed automatic transmission. In late summer, BMW will add the V-8 650i Gran Coupe with a base price of $87,395 and all-wheel-drive 650i xDrive, starting at $90,395. All prices include shipping. Mercedes' CLS sales peaked at 14,835 in 2005. Last year, the redesigned CLS sold 5,665 units. The Porsche Panamera debuted in 2009; sales peaked at 7,741 in 2010.